Every morning at the Shaolin Monastery, the Venerable Chee Seen would wait up Li Chooi Peng for kungfu training. 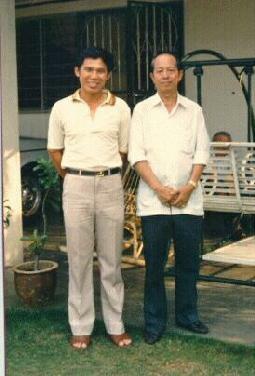 Chee Seen has practiced kungfu for decades, and when he taught his students he had a systematic way of teaching. For every movement, he would explain it clearly. He was also very strict. Every pattern was performed by his students correctly with picture-perfect form. They trained everyday. After a year, Li Chooi Peng’s basic force training was remarkable. Chee Seen knew that basic force training was very important. It was the foundation from which all future kungfu development depended. 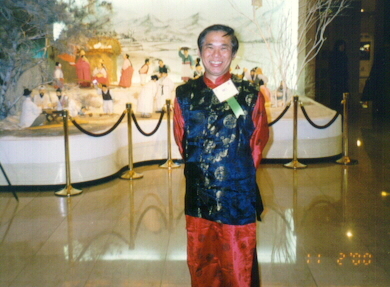 Li Chooi Peng was young. She did not have any irrelevant thought, and just focused on her training. After two years, her kungfu progress even surpassed Chee Seen’s expectation. Chee Seen was very happy. He started to teach her chin-na (which was a special way of gripping) using Eagle Claw. For a start, Chee Seen placed two jars on the ground, and asked Li Chooi Peng to grip them with her thumb, middle finger and fourth finger, and walk about. Li Chooi Peng could just walk a few steps, her fingers became weak, and her wrists became numb. But because Chee Seen was watching, she dared not let the jars down. After a month, she noticed that her fingers and wrists had become strong. She could lift the jars without much effort. After another month, not only she was not tired, it was like holding two clumps of hay which she did not take any notice at all. Chee Seen then added some stones into the jars. Gradually the jars were full of stones. After a while, Li Chooi Peng could carry the jars easily and ran about freely in the garden of the monastery. Chee Seen was very glad seeing that Li Chooi Peng could endure the bitter training. Without saying anything, he changed the jars with stone-chestnuts and asked Li Chooi Peng to continue training. The stone-chestnuts were made from big pebbles and each was more than 10 katis heavy. (Each katy was about 500 grams.) There was nothing to hold the hands on. Everywhere the stone-chestnuts were smooth. As soon as any ordinary person tries to hold one, it would slip away. It was more difficult to hold stone-chestnuts than jars filled with stones. But Li Chooi Peng persisted, and soon she could hold them quite easily. Her teacher then changed heavier stone-chestnuts, each weighing about 40 katies. After some time she could lift the heavy stone-chestnuts with her hands, and could run many steps without the stone-chestnuts slipping out. One day Chee Seen said, “Very good. It is difficult now to find anyone to have the power of your fingers.” Now I’ll teach you how to use your finger power. The art of finger kungfu is to use an opponent’s force miraculously. When in combat, it is often not based on valour and strength to beat an opponent. When an opponent is very strong, even if it is possible to use strength to beat him, it is demanding and undesirable. It is better to beat him in miraculous ways. “By miraculous ways, I mean to use the opponent’s strength to beat him. This is what people say four taels to counter a thousand katies. “When you look at a weighing balance, the weight is only a small portion that balances what is to be weighed. This is what is meant by four taels to counter a thousand katies. 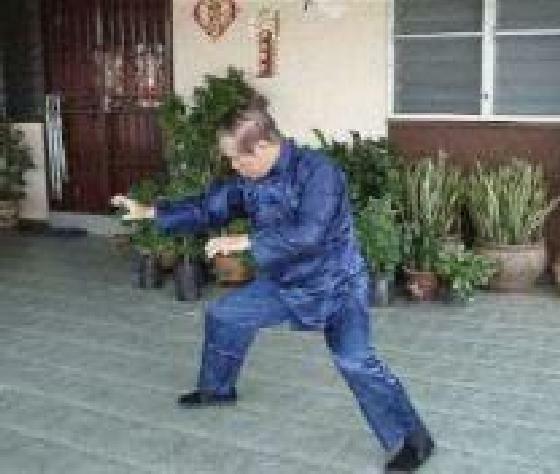 What you are learning now about chin-na using Eagle Claw, is this type of miraculous kungfu. Using just three fingers you can cause your opponent to fall, as if hit by a staff. This is the reason why I ask you to carry jars and stone-chestnuts. “You just think. Using your three fingers to grasp jars and stone-chestnuts, it is to focus your force at the fingers. There are rings at the tops of jars, so you can make use of the rings when using your force. But there are no rings at the stone-chestnuts. Yet you can lift them up. It is not feasible to calculate how forceful are your fingers. When they are used on a person, it won’t be light. “I shall now explain to you the power of your fingers. Every person has many tens of katies of strength. Just take 100 katies as an example. There are many people with 100 katies of strength. But those with 100 katies of strength at their arms are fewer. Those with 100 katies at their fists are fewer still. Those with 100 katies of strength at their fingers are very few indeed. This entry was posted in Grandmaster Wong Kiew Kit, Kung Fu, kung fu culture, legends, Shaolin, Shaolin Wahnam, stories, training and tagged Grandmaster Wong Kiew Kit, Kung Fu, kung fu culture, legends, Shaolin, Shaolin Wahnam, Stories, training on May 15, 2018 by Wei Joo Lee. Past masters took many years to attain energy flowing at the five levels, but we can attain this in just four hours! How is it possible? This is ridiculous but true. Past masters did not differentiate between techniques and skills, whereas we do. They practiced any techniques they were taught when they were students. When conditions were ideal, they developed the necessary skills, often without their conscious knowing. These ideal conditions happened infrequently even when they practice every day. Over a long period, like after many years, they accumulated enough results, which happened haphazardly, to feel energy flowing at these five levels. Let us take an analogy. In this course, many students come from other countries, like from England, Austria and Holland. If they do not have the right techniques, like a car or a train, and do not have the right skills, like traveling along the correct routes, but just travel haphazardly even they travel everyday they will take many years to arrive at Frankfurt if they ever do. But they took only a few hours to arrive because they have the right techniques and the right skills, i.e. they drove a car or took a train, and travelled along the right routes. Secondly, instead of developing the necessary skills on their own, which would take at least few months, I transmitted the skills to them so that they could get the benefits immediately. Is there any difference between Golden Bridge and Bone Marrow Cleansing at Muscle Level in developing internal force? Yes, there is some difference. The force developed in Golden Bridge is colsolidated, whereas the force developed in Bone Marrow Cleansing at Muscle Level is relatively more flowing. It is significant to note that the comparison is relative. Bone Marrow Cleansing at Muscle Level is more consolidated than many other methods of force training, but compared to Golden Bridge it is more flowing. As a rough guide the proportions of consolidating and flowing are as follows in the following force training methods. This list is flexible and serves as a rough guide. It varies according to many factors, like the mood, knowledge and ability of a practitioner. In our chase, we can vary the proportion according to our wish. We may, for example, practice Iron Wire with a proportion of 20% consolidating and 80% flowing. There is also a difference between the time needed between Golden Bridge and Bone Marrow Cleansing at Muscle Level to develop internal force. If one takes 15 minutes to develop a certain amount of internal force in Golden Bridge, he takes only 10 minutes to develop the same amount in Bone Marrow Cleansing at Muscle Level. This again is only a rough guide, and may vary due to different factors. Nevertheless, as revealed just now by practitioners who had trained in both methods (during a Bone Marrow Cleansing Course in Germany in Sept 2014) that although they found Bone Marrow Cleansing at Muscle Level more forceful, they still preferred Golden Bridge. The important lesson is that being better and preference are not necessary the same, and this important lesson is applicable in daily life. Some men may find other women more beautiful than their wives, but they still prefer their wives. Some women know that other men earn more money than their husbands, but they still prefer their husbands. Is our Bone Marrow Cleansing the same as Bone Marrow Cleansing taught by Bodhidharma? It is not the same. But we still use the term “Bone Marrow Cleansing” in honour of Bodhidharma. Bodhisharma’s Bone Marrow Cleansing referred to four levels of his teaching on spiritual development. Our Bone Marrow Cleansing refers to five levels of energy flow in energy development. In other words, by following Bodhidharma’s teaching, practitioners developed their spirit at four levels, figuratively described as the levels of the skin, the flesh, the bone and the bone marrow. The legend of Hui Ke receiving Bodhidharma’s teaching describes this development. 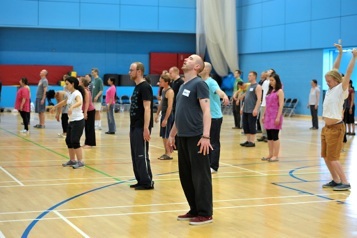 By following our teaching in the Bone Marrow Course, practitioners develop their energy flow at five levels, more literally described as the levels of the skin, the muscles, the meridians, the internal organs and the bone marrow. Why do we use five levels of energy flow and not four or any other number? It is because past masters discovered through the ages that there were five levels of energy flow. When people practiced chi kung successfully — genuine chi kung and not gentle physical exercise as is mostly practiced nowadays — after some time, which might range from a year to a few years, they found energy flowing at their skin level. After Some time, the energy flowed at their muscle level, then at their meridian level. After some time the energy flowing at their meridian level entered their internal organs. Eventually the energy flowed at their bone marrow level. Depending on various factors, from the time they started practicing chi kung to the time the energy flowed at their bone marrow level might ranged from five to twenty years. This happened only to those who succeeded in their training, and they formed a minority. 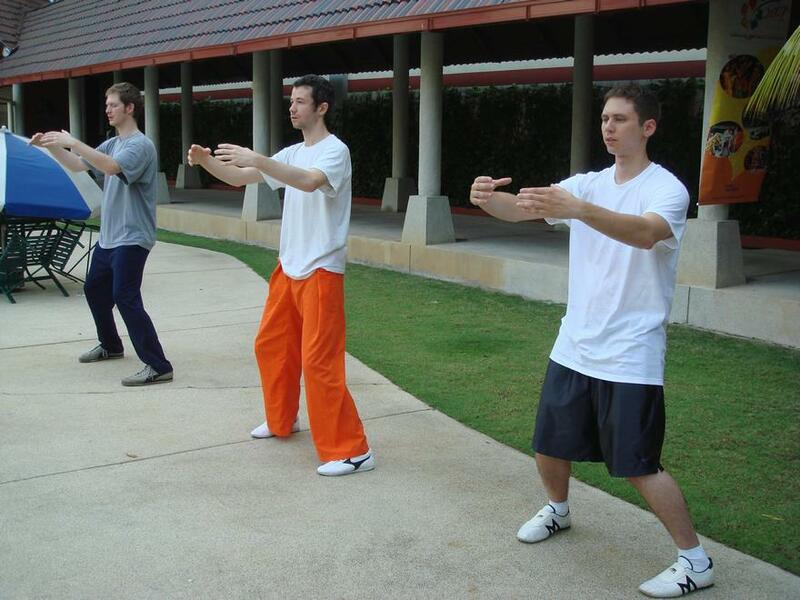 Most practitioners would not have progressed this far, even when they practice genuine chi kung. In our case, the term “Bone Marrow Cleansing at Muscle Level” can be misleading. It may be more exact to call it “Developing Internal Force at Muscle Level” as this actually describes the skill and the result. Or we may call it “Consolidating Energy at Muscle Level”, as a lot of energy is consolidated at the muscles though it is still flowing. Nevertheless, we call it “Bone Marrow Cleansing at Muscle Level” as it is the second level of our Bone Marrow Cleansing Course. Can we practice different levels in the same session of Bone Marrow Cleansing? Yes, you can although generally you will get better results by practicing just one level per session. If you practice more than one level, you need not repeat the techniques for the subsequent levels. You only need the gentle visualization. Secondly you can practice the various levels in any order, not necessary in ascending order. Let’s say you wish to practice Bone Marrow Cleansing at the levels of the meridians and the skin. You can start with Pushing Mountain, and direct your energy to flow along the meridians. When you are satisfied with this level of energy flow, you just direct energy to flow along your skin. You need not perform Lifting the Sky to generate energy flow at the skin level, you just use your visualization when you are in a chi kung state of mind. If you wish to perform Lifting the Sky, you can also do do. You recommend only 15 minutes in chi kung training but an hour in kungfu training. Can you please elaborate? 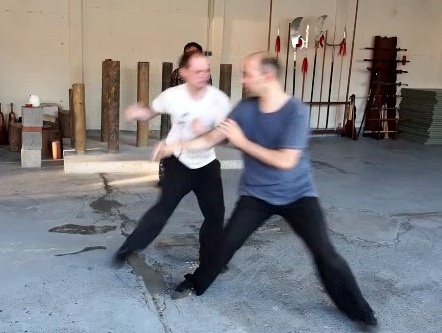 The force training in kungfu is usually more powerful than the force training in chi kung. So, will you be over-training if you practice kungfu for an hour, whereas it is recommended that you practice only for 15 minutes in chi kung? No, it is because the nature of kungfu training is different from that in chi kung training. In kungfu training, besides developing force you also perform a lot of mobile activities like set practice and combat application. These mobile activities spread your force so that you will not be over-trained, even when you have more energy at the end of the training session than before. But if you just perform force training in kungfu for more than 15 minutes, like just practice zhan zhuang, One-finger Shooting Zen and Lifting Water, unless you have spent some time in the training to progress gradually so that you body can take the extra energy, you will be over-training. In chi kung training, you only perform force development. Practicing more than 15 minutes of force development may be over-training as your physical body is not ready to take the extra energy. Can we practice the Three-Circle Stance in the Horse-Riding Stance instead of the Goat Stance, and practice the Golden Bridge in the Goat Stance instead of the Horse-Riding Stance? Indeed, in the past many Taijiquan practitioners performed carrying the Cosmos, which was the hand form in the Three-Circle Stance, in the Horse-Riding Stance instead of the Goat Stance. Some practitioners perform Golden Bridge in the Goat Stance instead of the Horse-Riding Stance. The effects are different. Carrying the Cosmos in the Horse-Riding Stance produces more internal force than in the Goat Stance. Practicing Golden Bridge in the Goat Stance is more relaxing than in the Horse-Riding Stance. I am troubled by a neurosis. Whenever, for example, I’m about to sit down or settle somewhere, I always have to check that there are no visible life forms present, like bugs, so that I won’t crush them. I base this on the principle that all lives are equal. But is this the truth? Can I safely sit down without always checking, or do I have to try my best to avoid killing anything? No, it is not true that all lives are equal. The lifespan of a bug, for example, is only a few months, whereas the lifespan of a human is many years. 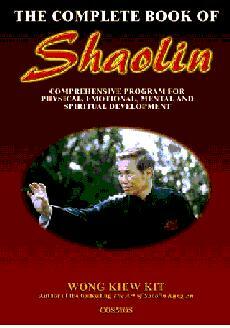 A bug does not have the opportunity to practice chi kung, whereas a human has. 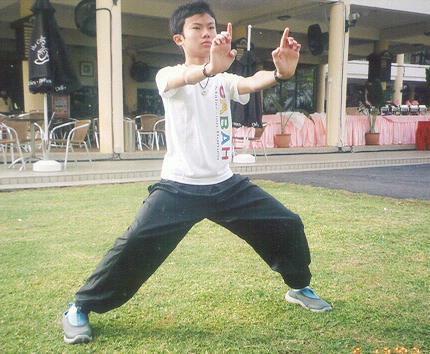 If he practices chi kung, i.e. genuine chi kung, and not merely gentle physical exercise which many people mistake for chi kung, he will live longer, healthier and with more vitality. It is also not necessary true that you will crush a bug when you sit down. I actually don’t know how bugs feel, but I reckon that a bug would feel warm and comfortable when the soft part of your body rests on it. So sit down comfortably whenever you want to. Your problem is not just crushing a bug or warming it. Your problem is certainly more series. I would strongly recommend you to attend my Intensive Chi Kung Course. 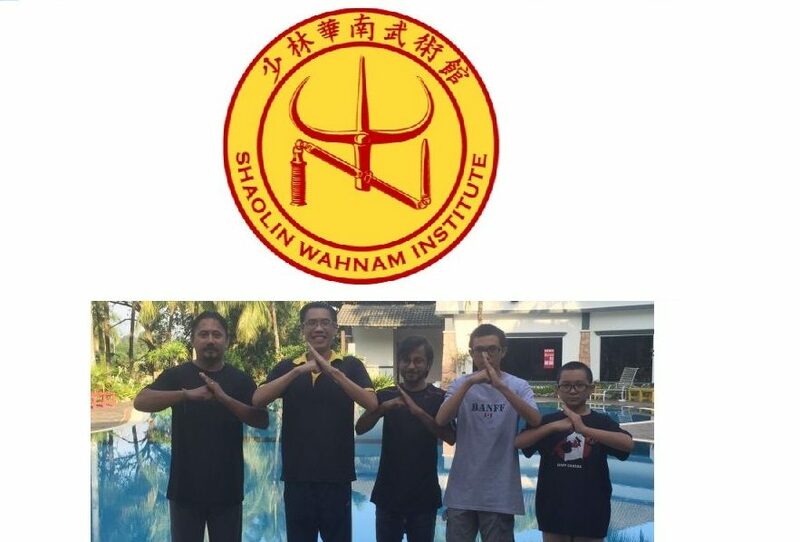 Please see my website at http://www.shaolin.org for more details, and apply to my secretary at secretary@shaolin.org for registration. I usually asked people with such problems to practice genuine chi kung, but from experience I have found that many of them end up with gentle physical exercise that does not overcome their problems. To save you time and effort, I ask you straightaway to attend my Intensive Chi Kung Course. You will not only overcome your neurosis and other health problems if you have, you will also find life more joyful and meaningful. Do you recommend physical exercise or is Chi Kung enough for overcoming depression and anxiety? If so, what kind of exercise would be the best? Just practicing high-level chi kung is enough for overcoming depression and anxiety. It is not necessary to practice physical exercise or take food supplement. Please take note of two important points: it must be genuine chi kung, and it must be of a high level. Genuine high-level chi kung is of course very rare nowadays. It is not what chi kung techniques one should practice, but how he practices them that is important. The same chi kung techniques can be practiced as low-level chi kung, or as gentle physical exercise which is not chi kung at all. Not many people can actually understand the above two statements even when they understand the dictionary meaning of all the words. An analogy may make the two statements clearer. It is not what swimming techniques or surgery techniques one performs, but how well or badly he performs them that is important. The same techniques can be performed as low-level swimming or surgery, or not swimming or surgery at all. 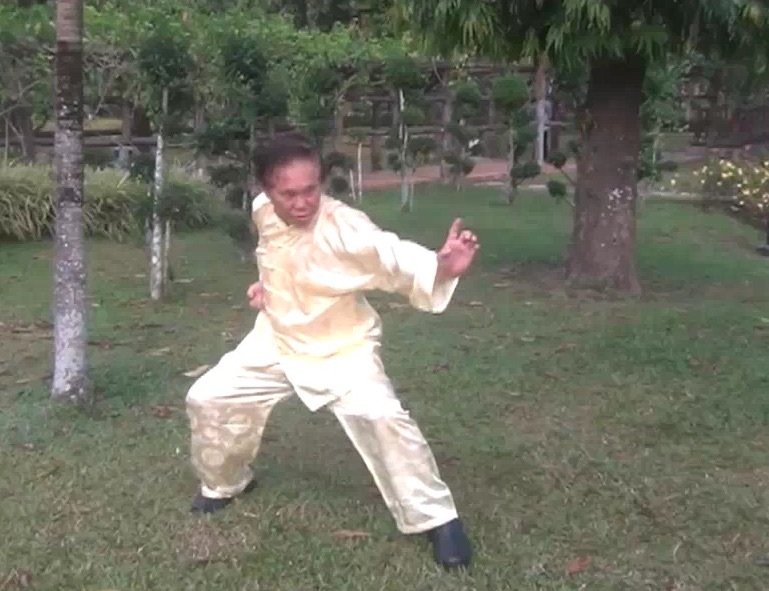 This entry was posted in Chi Kung, Grandmaster Wong Kiew Kit, Kung Fu, question-answer, Shaolin Wahnam and tagged bone marrow cleansing, chi kung, Golden Bridge, Grandmaster Wong Kiew Kit, Kung Fu, overcoming illness, QUESTIONANSWERS, Shaolin Wahnam, stance training, training on October 2, 2015 by Wei Joo Lee.